How can i forgot this? It was in my first year in college,i feel so lonely,so does now,i have no one to talk to ,about my thinking,my opinion,my feeling,even the taste of today's food. All my spare time is spent in library,i can feel connected with others only on books every afternoon.Out of library,the people seem less lively,the world is more of plastic,and my brain is both full and empty.when i touch these letters,i got much to say.when i leave them,i left nothing to say.State like this lasts about one term and i am fragile and sensitive even in my own world. 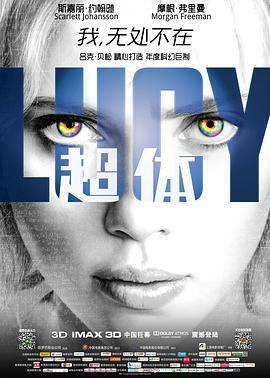 After watching this movie,i am so obsessed by the less-emotional and knowledeable lucy because she get all i wanted (self-verification)and she is more tough as well as streathful than i am. Lucy has much knowledge and capacity to understand them,despite she is lonely.I,DEEPLY,envy this lonely.Oh,that is wrong,lucy doesnot have envy at all.